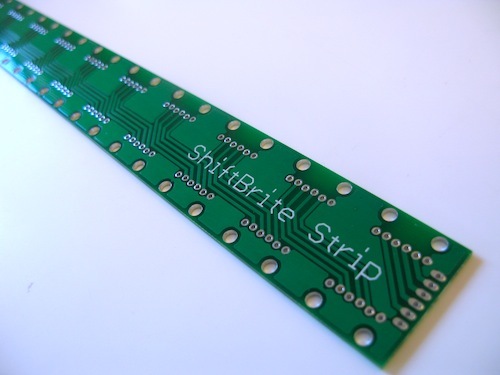 We recently placed a listing for our ShiftBrite Strips into the BatchPCB marketplace. If you’re not familiar, take the time to read up on our description of these really handy circuit boards. Head on over and place an order! You can purchase ShiftBrite LEDs from Macetech.